The number of breweries operating in Massachusetts has reached mind-boggling proportions. If you think you know all of them, I can assure you that you most certainly do not. As of a month ago, you could officially visit 100 craft breweries in The Bay State alone. Since then I can almost guarantee that number has gone up. I bet you can't name a quarter of them. Harder still is actually visiting any of these places. If you live in or around Boston and like beer, I'm guessing you've checked out Night Shift Brewing in Everett, Lamplighter Brewing Co. in Cambridge, or Idle Hands Craft Ales in Malden. Right? What about Trillium Brewing Company's Canton outpost, Aeronaut Brewing Company in Somerville, or Winter Hill Brewing Company? No? Surely you've at least imbibed in Harpoon's beautiful Seaport beer hall or sipped some samples at Sam Adams in Jamaica Plain. The problem isn't which craft brewery to check out this weekend, it's which one you should start with and how the hell you're going to get there and back home in one piece. Worry not, help is on the way. The craft beer boom has birthed a secondary, crucial industry of companies offering brewery tours, one that's taking root and proliferating here in Massachusetts. Though this certainly isn't a new industry to the area, several companies have opened their doors within the past year or so, and a couple new contenders have joined the fray. The Mass Brew Bus (formerly Boston Brew Bus) launched last spring as an offshoot of the popular Maine Brew Bus based in Portland. Their most popular tour is called "Wild Brew Yonder" and has run nearly every Saturday afternoon since launching, visiting Lamplighter Brewing Co. before heading to Framingham to pull up a stool at Exhibit 'A' Brewing and Springdale Barrel Room, the lauded spinoff of Jack's Abby Craft Lagers. "I think that the real relationships we have formed with the small and medium breweries in the Bay State is one major point of differentiation," founder Don Littlefield tells me. "We have met personally with each company that we are scheduled to visit on our tours, and have formed personal relationships with them that will help us to promote them." The company also offers two tours per week that visit Trillium's newer facility in Canton. "To my knowledge, we are still the only tour operator that offers this experience at Trillium," Littlefield adds. All tours start at $99. Newer to the mix is Hops and Stops, a Boston-based company founded this February by Tim Koeth and Kevin Helm that focuses on breweries in and around Boston. Beginning April 1, the company will operate tours every Saturday from downtown Boston to nine unique breweries and cider tasting rooms, including Night Shift, Bone Up, Mystic Brewery and Bantam Cider. Starting at $49, the goal is to offer a robust experience at an affordable price. "To help reduce cost, we’ve flipped the existing brewery tour model and gave control and choice back to our guests. Early on, we realized one included flight-per-location doesn’t support the type of craft enthusiasts that we’ve surrounded ourselves with," Koeth tells me. "Everyone has different tastes, and we’ve built a model that allows our guests to really explore each of the stops by buying the specific drinks that they like, instead of being handed a standard flight." Also new to the mix is Craft Beer Lovers of Boston, which officially launched this week. Its goal, co-founder Ryan Hatch tells me, is to offer a prodigious array of packages that hinge on serious, in-depth deer education. "How do you make a Boston brewery tour prodigious? You find like-minded people who actually love, breathe, and sweat beer, so it wasn't that hard to find good help," Hatch says. "Our Boston brewery tours are like nothing you’ve ever experienced. 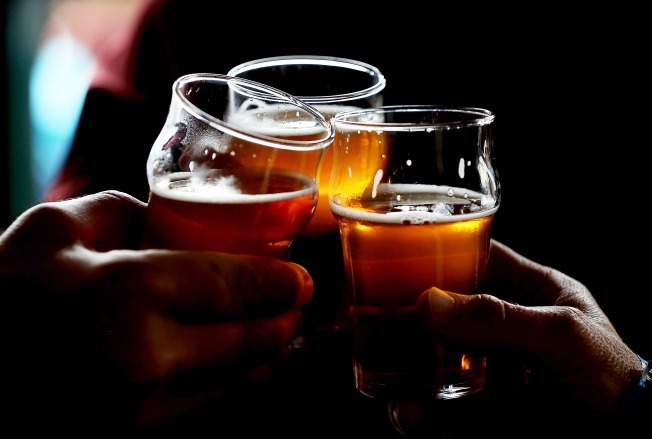 Our knowledgeable team of beer zealots takes you to the most sought after craft beer breweries in the Boston area." Tours, which start around $100, include stops at breweries like Harpoon, Mystic and Night Shift. There's also a Sunday distillery tour that stops at Short Path, GrandTen and Boston Harbor Distillery. The company, like the others listed here, offers private tours for small groups or companies as well. "We also offer our public brewery tours along with weekend getaways and day trips to tour other exceptional breweries," Hatch adds. "Come up with any other option, and we can do it (and we might even name it after you)." The last newcomer is BayState Brew Tours, which is the only tour company based south of Boston, offering trips all over Massachusetts including Cape Cod beginning next week. "What separates us is our focus on the education of our guests and keeping our tours affordable," says founder Steven Hall, who also founded HopHead Events. The Barrel House Z Tour, for example, starts at $30. Other tours in Somerville, MetroWest or the South Shore begin around $50. Starting soon, the scope will expand beyond just Massachusetts, too. "We will be offering overnight packages to Maine and Vermont combining our love of craft beer with our love for the outdoors with trips focused on mountain biking and hiking and visits to iconic VT breweries," Hall says. The company will even bus you and some friends to and from a beer festival, for a nominal fee of course.